A student may sign up for lessons any day of the week, Monday through Saturday. The number of lessons per week and the day and time are based on availabity. Group lessons are generally with 3 students. The more advanced classes could have a maximum of 4 students. The lesson fee is $25 for a 30 minute class. Semi-Private lessons are with 2 swimmers. The fee is $37 per swimmer for a 30 minute class. Private lessons are one on one with the student and instructor. The fee is $70 for a 30 minute class. Parent/tot lessons are available spring and summer quarter. The fee is $20 for a 30 minute class. A registration fee of $50 is due prior to the initial lesson. Payment for lessons are due monthly and requested prior to the first lesson of each month. 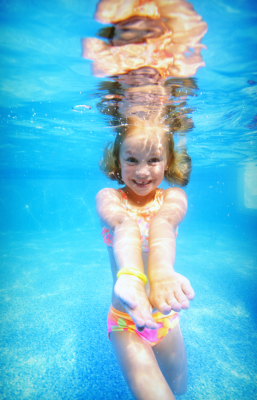 Lessons at Agnew Aquatics are geared toward all levels and ages. Our focus is water safety first with progressive advancement helping tots to adults become comfortable and confident in their desired water activity. No more than four to a class allow for lots of learning with little waiting. Classes are broken down into age and skill level. The goal is to match swimmers of similar age and skill in the same lesson. Exceptions are made however, based on indidvidual need, skill development and requests. Agnew Aquatics Swim School is open from 10am to 6pm Monday through Friday and 10am to 1pm on Saturdays. Swimmers sign up quarterly.